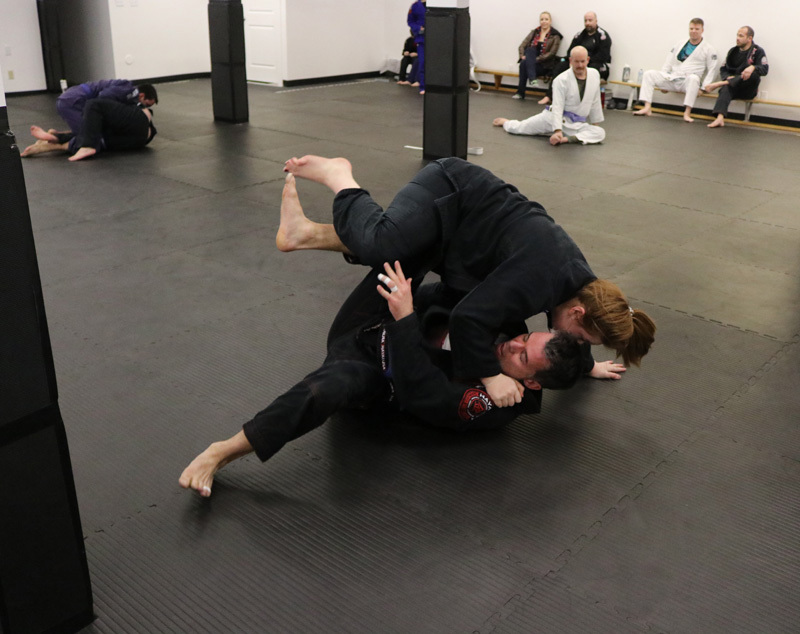 Chestermere residents were given the opportunity to attend a Brazilian Jiu Jitsu (BJJ) open house and open mat on Jan. 19 to see what the martial art is all about. 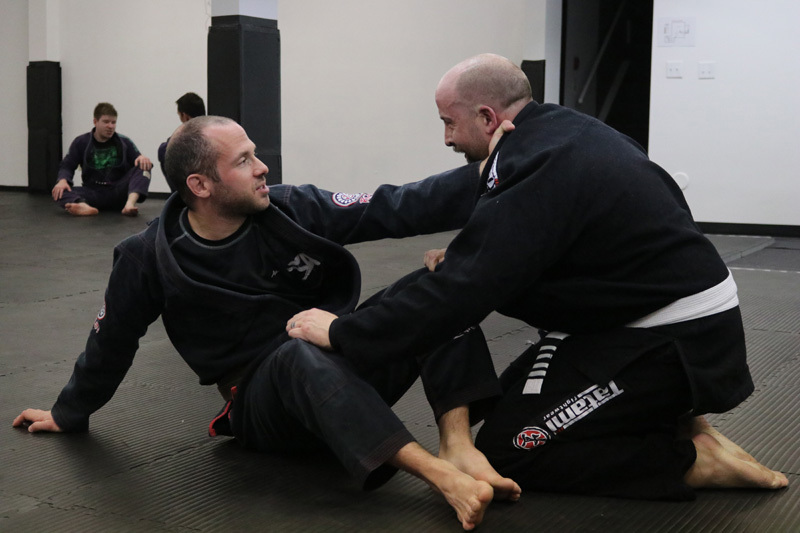 “An open mat allows other schools to come in, roll and grapple with our students, and just bring the community together,” said BJJ Back to the Mat co-owner Allan Clarke. The martial art incorporates ground fighting, while promoting a smaller person using leverage, position, and technique to defend themselves against a larger person. “It’s the best way to demonstrate the art, when a lot of people think BJJ, they think Mixed Martial Arts (MMA), which it is a big component, but traditional Jiu Jitsu is different,” Clarke said. When participating in an open mat, the competitors can roll or grapple with whoever they want, they slap hands and then begin for a certain amount of time. “People who you normally wouldn’t roll with you get to see their style, as well meet some guys you might compete against in a friendlier matter,” Clarke said. Alberta has a very active BJJ community, Clarke said, with women’s world champions, and children’s world champions coming from the province. Everyone gets something different out of BJJ. Some people are looking to stay active and fit, while others are looking for confidence. “BJJ is one of the best things for that,” he said. Clarke added, “The community is very welcoming. Although it can be intimidating at first, BJJ has people from all walks of life, including police officers, doctors, engineers, landscapers, and construction workers.